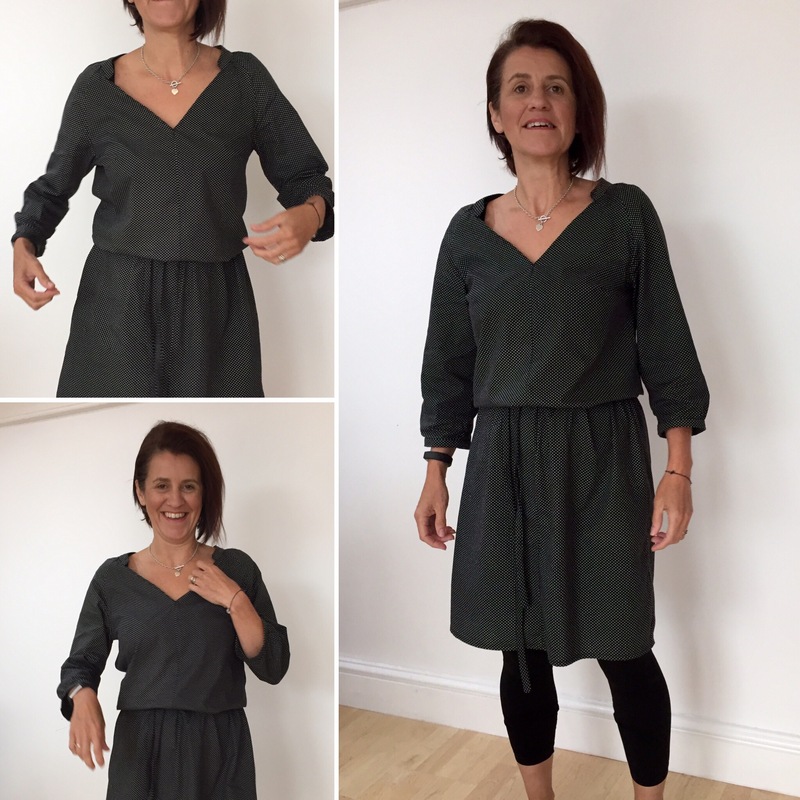 As the summer started I began thinking of casual dresses I could wear with my wellies at the approaching Glastonbury and spotted the #sewtogetherforsummer theme on instagram, a shirtdress, perfect…..unfortunately I didn’t get a chance to finish it in time for either! 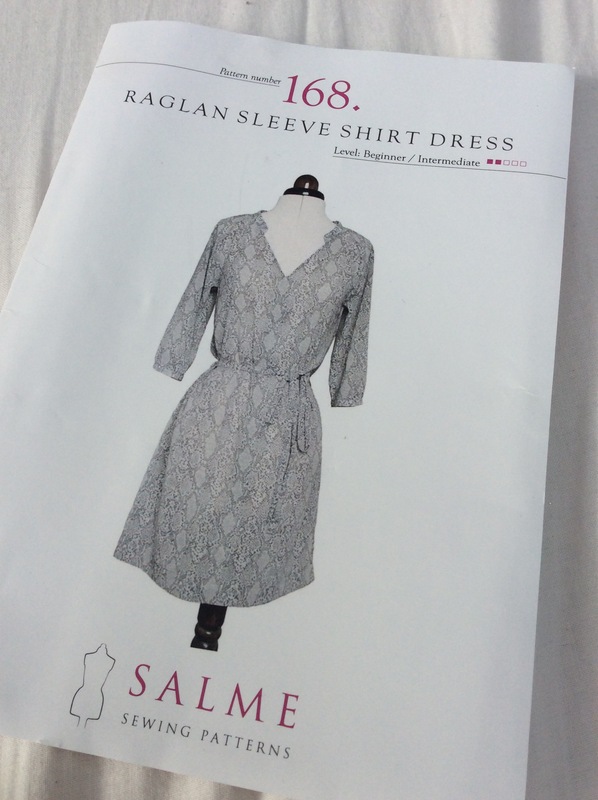 I decided to go for this raglan sleeve shirt dress by Salme as I liked the simple style without the normal button front closure of many shirt dresses. This was a pattern I picked up last year as a pattern swap at a meet up. I hadn’t heard of the company before. Having raglan sleeves and no fastenings it was a straightforward make when I actually got around to putting it together! I’m glad I took the time to read through all the instructions before I started, making note that pattern includes only 1cm seam allowance. I like the shape of the neckline & the gathered detail at the top of the sleeve where it joins the collar. However I’m not sure this style is something I would make again. I don’t think the loose fit, pulled in with a belt, is the most flattering shape for me. 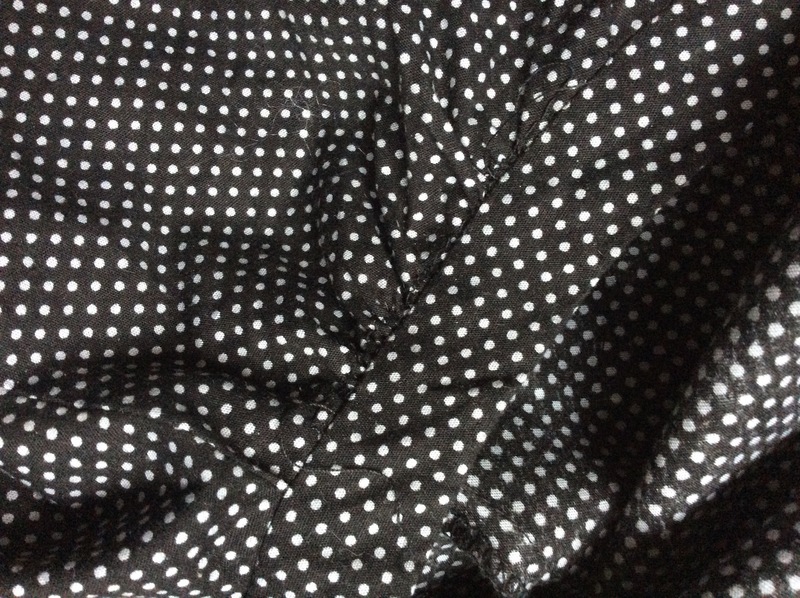 It may also be that the cotton fabric I used is a little too crisp. Having worn a couple times now I find it a lovely cool, comfortable dress which think looks better with leggings than on its own. You’re right, you’ve got a lovely figure and it doesn’t do it justice. Good idea to try shorter – without the belt? 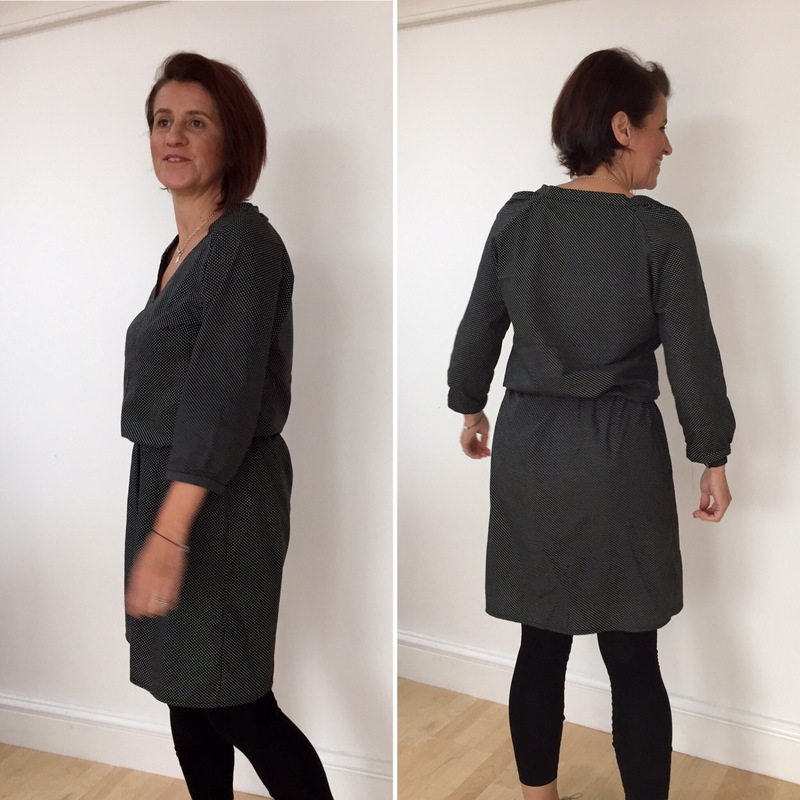 I’ve never made or worn a shirt dress because I don’t like collars and I’m not that keen on buttons (!) so I can see the appeal of this one. However, like you, I also don’t really like looser styles pulled in with a belt. I think if you’re not sure you’ll end up not wearing it. It’s a shame to waste that lovely fabric – and the effort of making it – so maybe try it as a shirt? Luckily I used a cheap cotton. Had a lovely fabric I was going to make it in but glad I saved that!! I may try putting waist darts in before I chop it off & see if that helps. Dartmoor Yarns on Coutil Fabric.